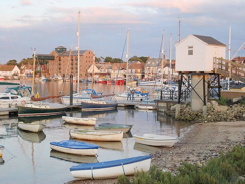 Wells-Next-The-Sea is a charming, traditional seaside town and is home to expansive sandy beaches, protected by vast pinewood forest, with the biggest blue sky on a sunny day. 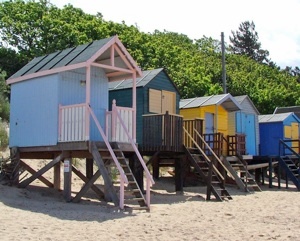 Stroll to the beach at Wells and along to the highly commended Holkham Beach (awarded Best Beach in Britain) and discover the beautiful, colourful beach huts along the way. Wander through the pretty Georgian streets, with it’s array of quaint shops, delis and cafés. Or simply relax and watch the world go by on the quayside, watching people trying their luck at a spot of crabbing. Great pubs include The Crown Inn, The Globe and The Victoria, both of which are owned and run by the Holkham Estate. The Holkham Estate itself, surrounded by acres of beautiful parkland, is on the doorstep.